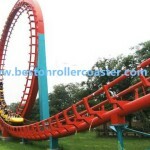 Magic Ring roller coaster for sale in Beston factory, also called magic-loop roller coaster. 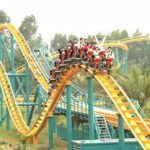 It is a roller coaster that works with 90 degree vertical dive and 360 degree speed flip which span 50 meters high and let you feel the 100 km/h vertical dive and a flying thrill, no pressure shoulder strap seat gives you a real “freedom” . 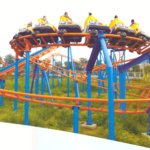 The shape is a unique orange red “love”, countless couples here with courage to witness love. 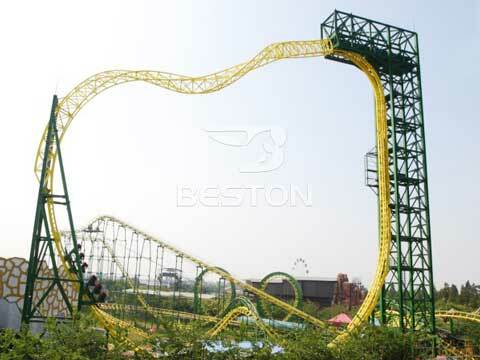 Magic ring roller coaster is a large and thrill steel roller coaster that is sold in Beston Group! 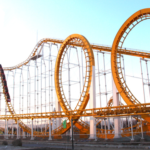 Contact us for price list about the magic loop roller coaster rides. 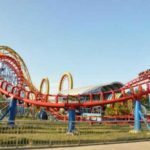 Magic ring roller coaster, one of the most thrill roller coaster you can ride in the amusement park. 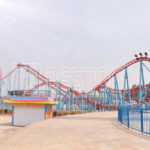 It become more and more popular in the large amusement park and theme park. 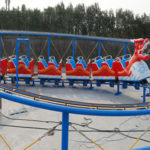 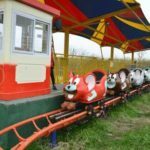 If you want to buy one set for your park, welcome to contact us now for more details about this magic loop roller coaster.